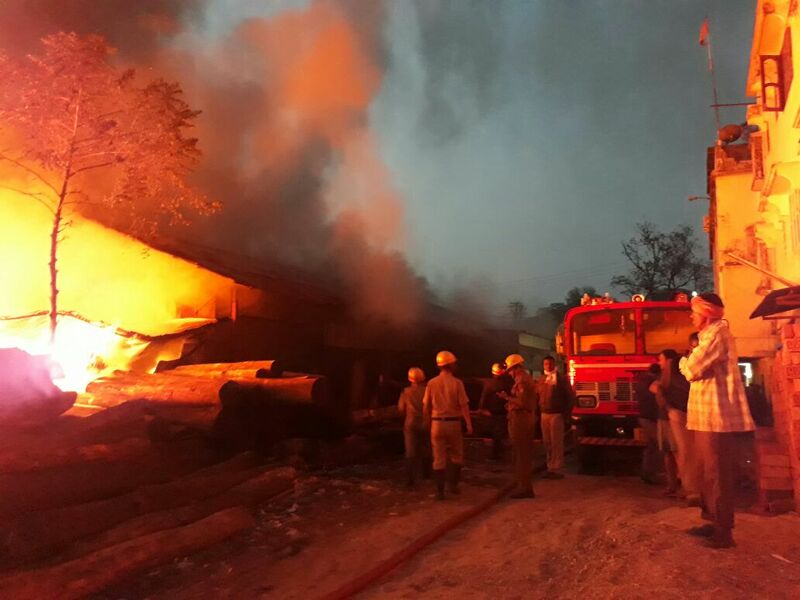 A massive fire which had striked Dooars Timber Depot (wood godown and furniture warehouse) at Jyoti Nagar beside Sevoke Road in Siliguri today morning at 4 am has been finally brought under control after 12 hours by the fire brigade. A total of 8 fire tendors were pushed into force to control the huge fire. The fire brigade for instant action drew water from nearby malls and high rises. Huge damage to property has been assertained, could be over a crore. No casualties, reason of fire is not yet known. Sources have said though the fire has been controlled but as they are clearing burnt wood logs and furniture, fire is seen underneath.